WASHINGTON -- President Donald Trump's nominee for labor secretary abruptly withdrew his nomination Wednesday after Senate Republicans balked at supporting him, in part over taxes he belatedly paid on a former housekeeper not authorized to work in the United States. Fast food executive Andrew Puzder said in a statement provided to The Associated Press that he was "honored to have been considered by President Donald Trump to lead the Department of Labor and put America's workers and businesses back on a path to sustainable prosperity." 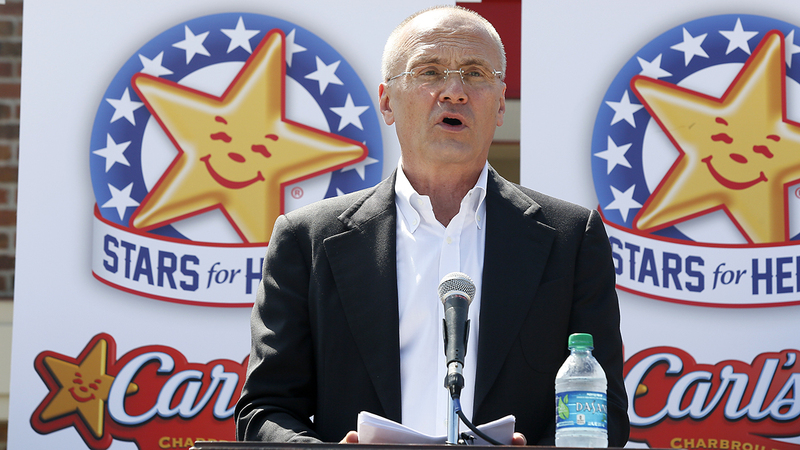 The withdrawal by Puzder, the CEO of CKE Restaurants Inc., came on the eve of his long-delayed confirmation hearing. Many Republicans had said they were troubled by his acknowledgement that he had not paid taxes on the housekeeper until after Trump nominated him to the Cabinet post Dec. 9 - five years after he had fired the worker. One senator, speaking on condition of anonymity because the conversations were private, said six senators had asked the White House to call off Puzder's scheduled Thursday hearing because they couldn't see themselves voting for him. That would have put the nomination in jeopardy, since Senate Republicans have only a 52-48 majority and Democrats are solidly opposed. Puzder also faced other Democrat-led attacks over his business record and remarks about women and workers at his company, which owns Hardee's and Carl's Jr.
Puzder's spokesman said the nominee had paid the taxes as soon as he found out he owed them. But the discrepancy remained a growing political problem for Republicans who have taken a hard line on immigration and taxes. "I want to hear what he has to say about that," said Sen. Marco Rubio, R-Fla., who added he had moved from endorsing the nominee to joining the ranks of GOP senators who weren't committing to vote for Puzder before the scheduled hearing. "There are concerns" over "the immigration issue," said Sen. John Hoeven, R-N.D., who said he shared those concerns and said the Republicans discussed the matter in their caucus meeting Wednesday.